No matter the occasion, there's always a reason to wear the flirty Kailee sandal. 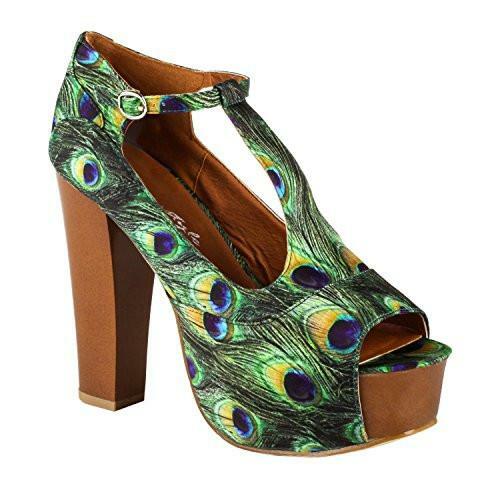 This t-strap, peep toe platform comes in three festive prints that will brighten or compliment any fashion choice: green and blue peacock print for an eye-catching look; blue and purple butterflies on black for a muted touch of color on a romantic night out; and for that warm and sunny look, the orange and blue flowered print. 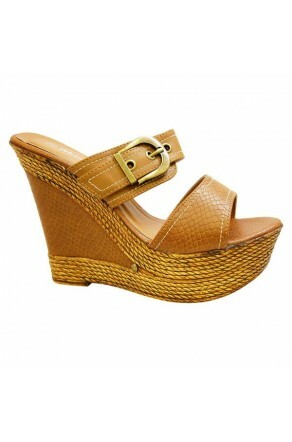 With its 5-inch chunky heel and 2-inch platform, you will stand out from the crowd in more ways than one! Available in sizes 5 - 11. I was inspired to shop online in Shoeland because of its 5-stars reviews from the customers. This sandal is very comfortable and fashionable too. it meets my high standard qualifications and firstclass shoes and I have no hesitation in recommending Shoeland to my workmates, friends and family.